WhatsApp has added a useful new feature for its iOS beta users, allowing them to check out videos directly from push notifications. It’s a small but significant change, making the experience of using the app just a tad bit more convenient. Any WhatsApp for iPhone beta user on version 2.18.102.5 of the app should be able to view the feature. WABetaInfo claims the tool will be rolled out to official users soon. Interestingly, a Twitter user and blogger named Carsten Knobloch replied to the tipster’s tweet by claiming that his wife had gotten access to the feature even though she’s not on the beta program. Knobloch shared a video as proof of this. WABetaInfo thinks WhatsApp might have accidentally enabled it for his wife. 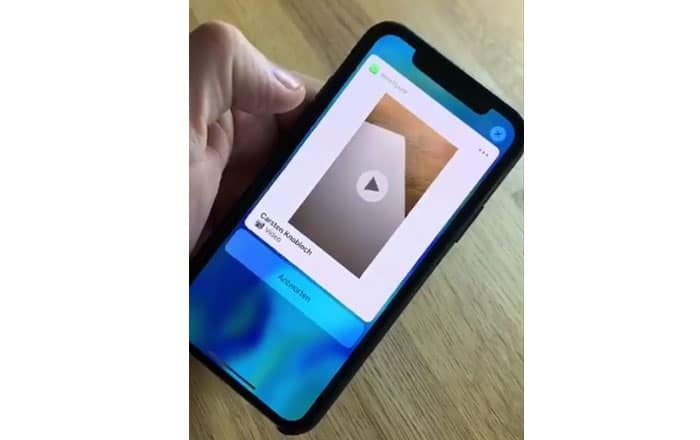 The feature itself looks pretty straightforward, with a simple play button allowing the receiver to watch the video within the notification window. People can see images and GIFs in pop-ups in the official WhatsApp build, but they have to use 3D Touch or swipe on the notification to tap View. Other than videos, the company is also testing an intriguing new ranking feature which sorts contacts according to how often a user interacts with them. This ranking will help WhatsApp decide where to place a contact’s Status update. The more friendly the user is with them, the higher their ranking will be. This will replace the current system which relies on time, placing the most recent statuses on top. Spying further into the future, WhatsApp is said to be testing Touch ID/Face ID support for the iPhone. Not only that, there’s also evidence of a Dark Mode arriving. Both are highly-requested features, but it might take some time before they move into the public beta and official build.